Connecticut Community Care (CCC) has achieved the highest accreditation status of Case Management Accreditation for Long Term Services and Supports (LTSS) for The Connecticut Home Care Program from the National Committee for Quality Assurance (NCQA). CCC, a nonprofit organization which serves more than 17,000 individuals of all ages, abilities and incomes in communities throughout Connecticut, is dedicated to helping people receive the care they need at home and in their own community. Connecticut Community Care was among the first in the country to be evaluated by NCQA under the new LTSS program requirements. This includes organizations from 14 states, 5 health plans and an array of area agencies on aging and disability resource centers, home and community-based service organizations and others. 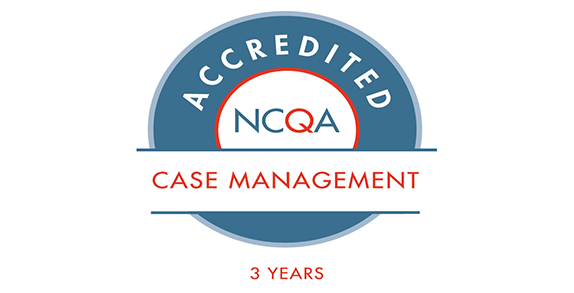 Earning NCQA’s Accreditation of Case Management for LTSS demonstrates that CCC is dedicated to coordinating the delivery of care in a person-centered and integrated manner to help individuals function optimally in their preferred setting. CCC met strict standards in areas such as conducting comprehensive assessments, managing care transitions, and for measuring quality improvement to support people living optimally in their preferred setting. The standards are set high to enhance the quality of services delivered and are intended to help organizations achieve the highest level of performance possible, increase adherence to care guidelines and create an environment of continuous improvement. NCQA Accreditation standards are developed with input from researchers in the field, the LTSS Advisory Committee and standing committees, both purchasers and operators of LTSS programs, state and federal regulators and other experts. The organization uses up-to-date evidence-based information to develop its case management programs, and regularly updates the programs with relevant findings and information. The organization systematically assesses the population it serves and has a process for conducting comprehensive assessments. The organization has a process to provide for developing individualized care plans that incorporate personal preferences, prioritized goals and self-management plans and monitor progress against those plans. The organization has a process for managing transitions, identifying problems that could cause unplanned care transitions and, when possible, preventing unplanned transitions. The organization measures and works to improve participant experience, program effectiveness and active participation rates. The organization defines staffing needs, verifies staff credentials, when applicable, and provides ongoing staff training and oversight. The organization communicates the rights and responsibilities of participants in a case management program. The organization documents and monitors functions performed for them by other organizations. NCQA is a private, nonprofit organization dedicated to improving health care quality. NCQA accredits and certifies a wide range of health care organizations. It also recognizes clinicians and practices in key areas of performance. NCQA’s website, www.ncqa.org, contains information to help consumers, employers and others make more informed health care choices. Connecticut Community Care (est. 1980), a statewide nonprofit care management organization, helps more than 17,000 individuals of all ages, abilities and incomes to receive the care they need at home, in their own communities, and offers health and wellness programs, corporate and community education initiatives.